Lubaina Himid becomes the first woman of color to win the Turner Prize since it was established in 1984, reports Hyperallergic. At the age of 63, Himid is also the oldest artist to win the U.K.’s prestigious award. Until this year, only artists under the age of 50 were eligible. Himid told BBC, “I think it will get people talking, which is the point of my work.” Himid’s artwork addresses racial politics and the legacy of slavery. 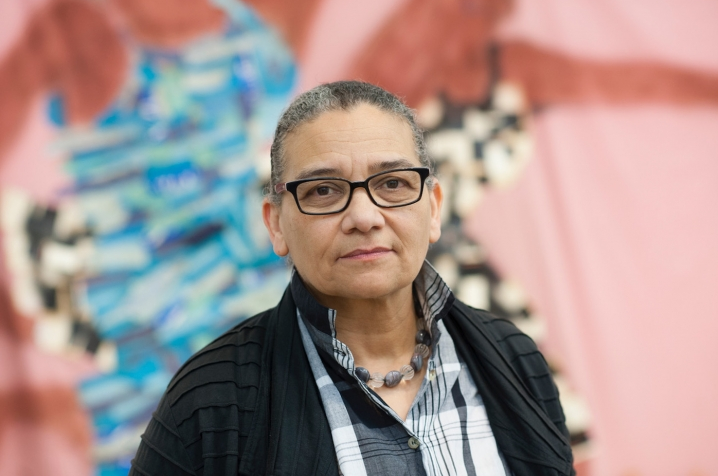 The prize judges praised her “uncompromising tackling of issues including colonial history and how racism persists today.” The Art Newspaper, the Guardian, and the Telegraph explore Himid’s work and Turner Prize history. 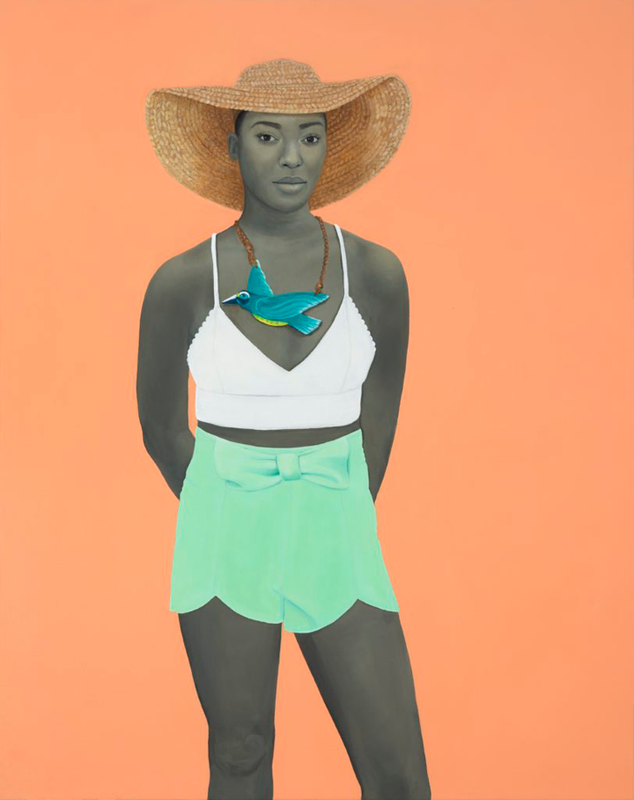 artnet explores NMWA artist Amy Sherald’s art-market success. NPR discusses Time’s Person of the Year for 2017, the #MeToo social media movement, and the silence breakers who have helped raise awareness about sexual harassment and assault. Think Progress shares El Tendedero/The Clothesline Project, the bilingual installation on violence against women at the National Museum of Women in the Arts. NMWA Associate Curator Ginny Treanor and Magnetic Fields artist Lilian Thomas Burwell discuss the exhibition on the Kojo Nnamdi Show on WAMU 88.5. Through an analysis of the 199 galleries showing at this year’s Art Basel, Artsy find that dealers who are women are 28% more likely to show artists who are women. 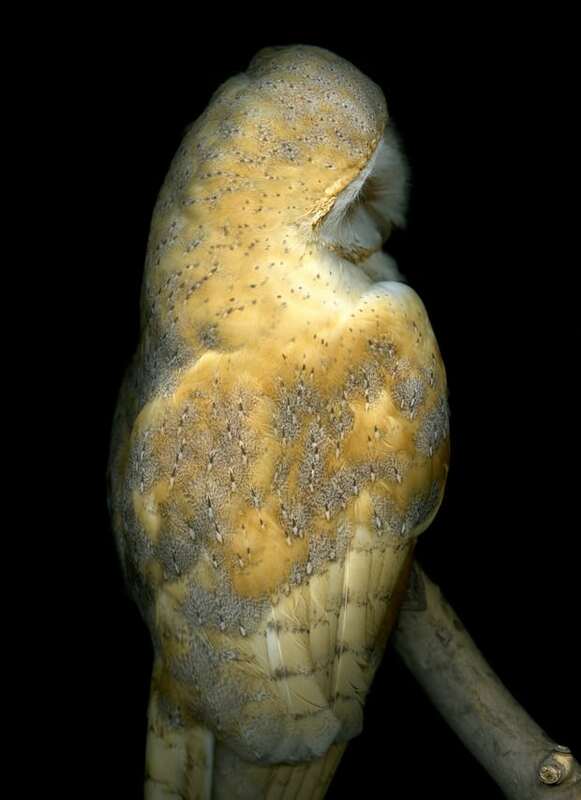 Liza Dracup reflects on her best work, a photograph of a barn owl. German photographer Alma Haser prints photographs of twins onto a 500 or 1,000-piece puzzles and switches every other piece to create two works that are an equal combination of each sibling. Caitlin McCormack’s fiber sculptures investigate the warping of memory over time through the breakdown of physical material. Netflix will film eight more episodes of House of Cards for a final season that will feature the show’s female lead, Robin Wright. 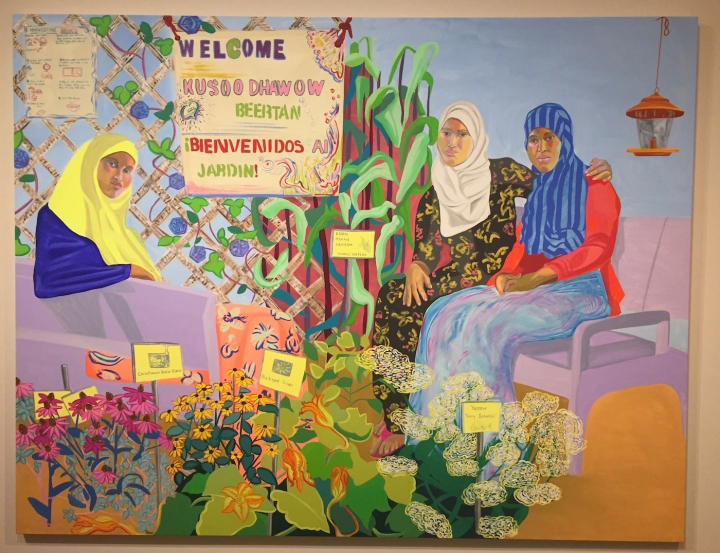 Aliza Nisenbaum: A Place We Share at the Minneapolis Institute of Art upends class and status structures through majestic group portraits. Hyperallergic interviews Cecilia Fajardo-Hill, a curator of the Radical Women exhibition at the Hammer Museum, about how the show fills historical gaps with the contributions of Latin American women. Photographer and filmmaker Laura Aguilar’s self-portraits shot in the Mojave Desert, ephemera from her college years and early career, family snapshots, and a few short films are on view at the Vincent Price Art Museum.